The Gay Gamer: Butter Star Galactica, eh? 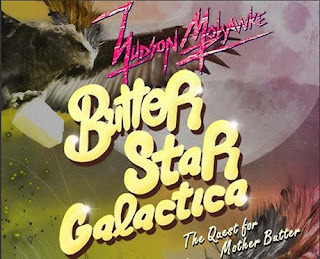 Scottish DJ and electronic music producer Hudson Mohawke is using a devilishly simple (and stylish) Flash game called Butter Star Galactica to promote his latest album. I have to say, I just spent a good 15 minutes playing it--and even though I wasn't sure what I was doing (or what I was supposed to do), I had a hell of a time doing it. Check it out here if you have a few minutes on your hands.